Our company is seeking an experienced, personable and professional Restaurant General Manager that shares our interest for exceptional quality and guest satisfaction. Apply Today for our location in Kennett Square. Our Company is a craft brewery headquartered in Pennsylvania. Founded by childhood friends, we officially opened our doors in the mid 90 s. We serve fans of fully flavored beers in over 30 states with innovative beers melding European ingredients and technology with American creativity. Our brewpubs feature a chef driven menu, self-guided tours, retail stores & more. We feel very fortunate to be a part of our community. We see thousands of satisfied customers every week. These people are our friends, neighbors and fellow beer enthusiasts. The quality of our beer, our commitment to scratch cooking and support of our local economy have created a dedicated following of fans. If you're interested in becoming a part of our growing culture then we're interested in speaking with you. Apply Today for our location in Kennett Square. Job Description: Maintaining a professional and welcoming atmosphere will be expected as our Restaurant General Manager. It will be the responsibility of the Restaurant General Manager to recruit, train and develop our staff while handling issues and maintaining outstanding service and food quality. The Restaurant General Manager will also ensure the overall maintenance and upkeep of the restaurant is consistently being taken care of. Our Restaurant General Manager will ensure compliance of all company, health, and state requirements as well. 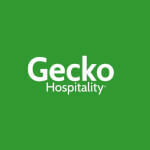 The administrative functions of the restaurant will also be maintained by the Restaurant General Manager. This includes but is not limited to budgeting, creating P&L reports, scheduling, and maintaining profitable food and labor costs. As the Restaurant General Manager you will be responsible for all overall functions of the restaurant and staff. Apply Now - Restaurant General Manager located in Kennett Square, Pennsylvania!